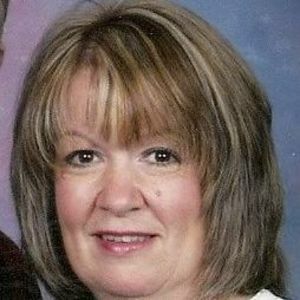 GREENVILLE - Connie Jeanette Williams, 54, of Greenville, died Wednesday, July 27, 2011 at 11:40AM at Owensboro Medical Health System. Mrs. Williams was born April 9, 1957 in Muhlenberg County. She was a member of Sharon General Baptist Church. She was preceded in death by her brother, Ramon Wilson; sister, Becky Harper; and father Shelby Wilson. Survivors include her husband, Gary Williams; son Drew (Maranda) Williams; grandson Madden; mother Ann Bevil Wilson; sisters Pam (Anthony) Forsythe, Eva Fields, and Pat Rainwater; and brothers Shelby (Louise) Wilson and Tim (Lori) Wilson. Funeral services will be Saturday, July 30, 2011 at 1:00PM at Tucker Funeral Home in Central City, with Rev. Darren Pentecost officiating, assisted by Rev. Jerry Winters. Burial in Fairmount Cemetery. Visitation will be Friday after 5:00PM at the funeral home. Online condolences may be made at www.tuckerfuneralhomes.com. Gary and Drew, I am so sorry. Connie meant alot to me, and helped me out some much when I was at my lowest point. There are not enough words to say what she meant to me. I apologize for the delay in writing this, but it really hit me hard when I found out. You guys have been true friends to me and I thank you. Jehovah himself and he himself will sustain you. mine in time of sadness. Our family is so saddened to hear of the passing of Ms. Connie. She was such a sweet lady and meant a great deal to each of us. We are praying that you two (and the many others that loved her) greatly feel the peace that only Christ can bring during this time of grief and sadness. If there is anything our family can do for yours, please feel free in asking. B & K Wood Products, LLC. Connie was a very sweet and kind lady, always had a smile on her face and a kind word for anyone, she will be greatly missed, but she is healed and in no more pain, in a place we all long to be! God bless and comfort each and every one of the family members. Sonny, and other family members. Gary and family, Connie was a true inspiration and I was so glad to have had her as a part of my life. She was a true fighter and had more heart than anyone I know. I will miss her dearly and you are all in my thoughts and prayers. She was truly my "favorite." Our Prayer is with you, Connie was a faithful warrior, and had no fear, she was a great person, God chose for her to make her trip now, he chose a good one. She now is ultimately healed. Proud to call her and the family friends. Appreciate my friend "Sky", and admire his love for her. Gary, you and your family are in our prayers! !